Bhutan Archives - Blue Mountain Travels and Tours (P.) Ltd.
Bhutan, land of the peaceful Dragon, lies in a hidden corner high in the eastern Himalaya, sandwiched between Tibet to the north and the Indian states of Sikkim to the west, Assam to the south and Arunachel Pradesh to the east. The country within these borders forms a giant staircase, from the grassy floodplains and riverine forests in the south through semi tropical and alpine forests to some of the highest unclimbed Himalayan peaks on earth. Bhutan is the tiny kingdom practically unknown to the outside world, presents a most fascinating yet an untouched natural beauty, unique culture and ancient traditions. 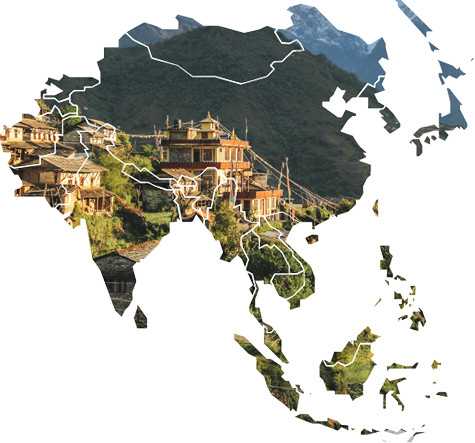 Bhutan is truly SHANGRILA, a mythical country hidden deep in the mountains For centuries isolated, inaccessible and forbidden, this Himalayan Kingdom cautiously opened its borders to curious visitors.